Whether you bring your pet in the cabin with your or check it in as cargo, keeping your furry friend safe and happy is important. Even if you're loyal to a specific airlines, it's important to find the right carrier for traveling with a pet. You'll find that some companies simply will not accommodate animals, and others may have a reputation for treating their four-legged passengers poorly – more like luggage than living creatures. In recent years, there have been dreadful stories of pets in their carriers being thrown around in the the cargo area. That's why many airlines have begun stepping up and implementing programs that guarantee the safety and comfort of your companion. United Airlines has its own PetSafe program that delivers animals too large to be carried in the cabin from the starting airport to your destination and offers features that let you stay in control, such as a 24-hour help desk and the capability to track where your pet is in his or her journey. As mentioned above, some pets are small enough to carry with you in the cabin. In general, only small dogs that can fit easily into a carrier are allowed on the flight with you (the carrier typically needs to be no bigger than 9 inches tall, 13 inches wide and 23 inches long. You should check with your specific airline for their exact rules regarding in-cabin animals – some do not allow pets at all, and others have their own maximum carrier measurements. Both United and American airlines, for instance, require the kennel to be small enough to fit under the seat. Note that there's a service charge for pets on most flights, and those checked in as cargo tend to cost more than animals brought in the cabin. You'll have to call in advance to reserve a spot for your furry friends, as there may be a limit to the number allowed on board. You may also be required to provide a small amount of food and water that personnel can give to your pet in the case of long flights or unexpected delays. Airlines often offer carriers for sale at the ticket counter, but you may want to start shopping for your kennel early on. Buying a new carrier a few months in advance allows your pet time to get used to its confines – have your dog, cat or other animal get acquainted with the kennel to the point that he or she can spend at least a few hours in it without issue. This not only allows you to avoid embarrassing situations where your dog panics in public, but it also ensures the comfort and happiness of your pet, whether it's in cargo or under your seat. Once your pet has become acclimated to a specific kennel, try using the same one each time you travel. People flying across state lines or abroad must acquire a health certificate that verifies that the animal is approved by a veterinarian to fly. It must be signed by a licensed vet, who will examine your pet to ensure he or she is disease-free and that vaccinations are up to date. You should plan the date of the examination carefully, because these certificates are only valid for 10 days pre-flight or 30 days afterward. Getting it too early may mean trouble getting back home due to expired documentation. 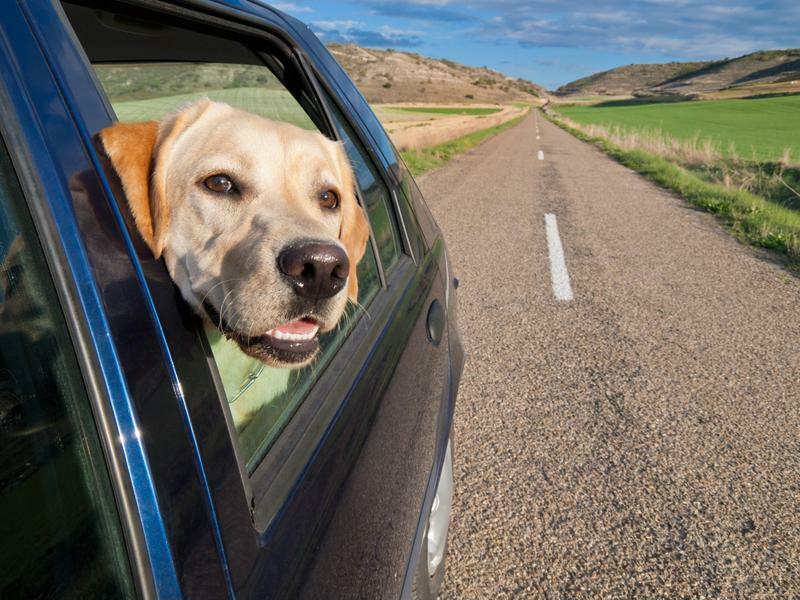 As an important member of your family, your pet deserves to have all the items he or she needs during the trip. You should bring along a small travel bag with your animal's essentials, including a collar with identification tag, food and any medications with prescription information, a blanket for the kennel, travel food and water bowls and a backup collar. Other items you may find useful for the trip include a cleanup kit in case of accidents, a piece of clothing with a familiar smell to keep the animal calm and a copy of your veterinary-signed health certificate. You might also want to bring along some treats to reward your pet with for staying calm and collected during the flight, and keep the phone number and address of a veterinarian in your destination on hand in case of emergencies.